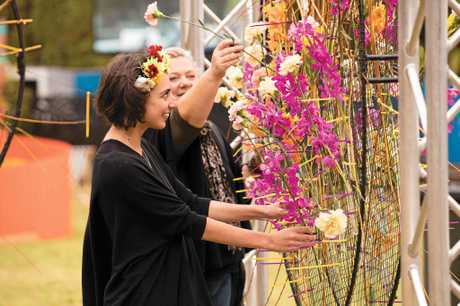 PREPARE your petals, ready your ears and cleanse your palates because the 68th Toowoomba Carnival of Flowers has unveiled its program of music, food, fun, wine, floral art and gardening. Toowoomba Mayor Paul Antonio said the carnival was, and would continue to be, a stand-out event on the Australian calendar. "This year's floral program once again is a testament to our bold ambition for this event, promising breathtaking displays of botanic brilliance across floral exhibits, fresh flower markets, glorious garden tours and more," he said. "We look forward to welcoming everyone to Toowoomba in September." The carnival, the brainchild of Essex Tait and the Toowoomba Chamber of Commerce, was introduced in 1949 as a way for the city to use its Garden City reputation to promote economic activity following the recent hardships of the Second World War. On October 21, 1950, the Toowoomba Carnival of Flowers started with a street procession that stretched 4.8km in length. Gardeners prepare for carnival: Carnival gardeners are gearing up for this year's The Chronicle Garden Competition of the Carnival of Flowers. Led by a bullock team and watched by a crowd of about 50,000, the parade was a resounding success and the carnival subsequently became firmly cemented as an annual event. From September 15 to 24, locals and visitors can take advantage of a program of more than 60 events and experiences, including internationally acclaimed musical acts, award-winning parks, some of the best food and wine in southern Queensland and a multitude of cultural activities. 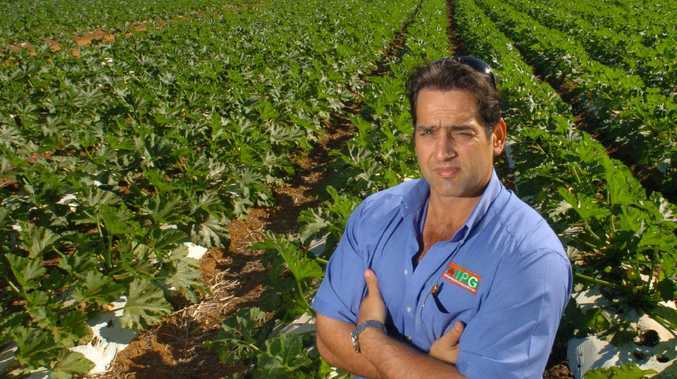 This year special guests at the Ergon Energy Food and Wine Festival include ABC Gardening Australia's Sophie Thompson and Australian chef Anna Gare, and music acts include Daryl Braithwaite. 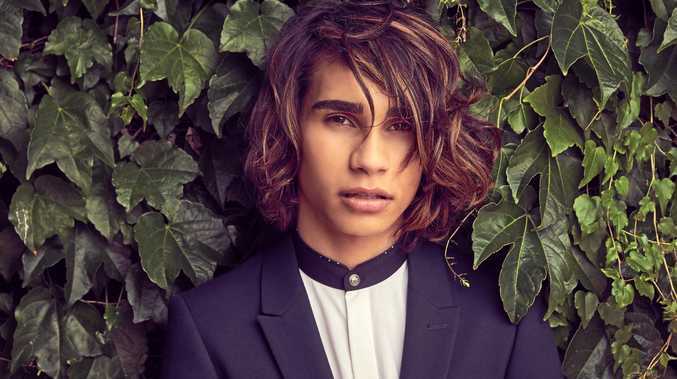 He will perform along with legendary Australian rockers The Angels as well as Australian band The Temper Trap. Others in the line-up include The Paper Kites, Boys in the Band and The Diamonds as well as Melbourne-based singer-songwriter Alex Lahey and The Voices, a stunning collaboration of some of the biggest names in Australian music - Mark Gable (Choirboys), Dale Ryder (Boom Crash Opera), Reece Mastin (X Factor sensation) and Jason Sigh (Taxiride). The Grand Central Floral Parade, which remains firmly at the heart of the celebration, will bring the city to a standstill on September 16 when more than 100,000 people line the streets. STEPPING into a private garden in Toowoomba is like falling down the rabbit hole in Alice in Wonderland - visitors have no idea what they are going to find. They may feel overwhelmed, but in a good way, by the colourful blooms, the magnificent trees, the impeccable lawns and the abundant wildlife. The gardeners of Toowoomba all take pride in what they create, especially in September during the Toowoomba Carnival of Flowers. The carnival attracts national and international visitors to the Garden City for 10 days and through the Toowoomba Chronicle Garden Competition, thousands of proud gardeners transform their gardens into spectacular sights. The Chronicle's marketing manager Stacey Hixon said the prestigious event was the largest in Queensland to open private gardens to the public for free. Ms Hixon said some of the gardeners had been entering the competition for 38 years. "All the gardeners pour their heart and soul into their creations and they love showing off their hard work and sharing their stories with the hundreds of visitors who stop by their homes," she said. Ms Hixon said the competition allowed members of the city's garden community to connect with each other and share their ideas. While many of the entrants in the competition are aged 60-plus (some 70-plus), she said there were many first-time entrants picking up their spades and wheelbarrows and giving it a go. "We are starting to see a diverse range of people enter, from retirees to keen young gardeners," she said. "There has been a focus on involving schools in the competition during the last two years and it's been great to see so many of our local schools embrace the competition and have their students involved in gardening." That was something particularly special for Ms Hixon, who said it was wonderful to see the experienced gardeners influencing those students. Visitors are asked only for gold coin donations and the money raised goes to various charities in the community like Anglicare, St Vincent de Paul Society, Life Education, Legacy and Toowoomba Community Care Transport. Ms Hixon said The Chronicle Exhibition Gardens had raised more than $610,000 for those charities. Book tickets for the Ergon Energy Food and Wine Festival, including the Heritage Bank Live Concert Series, at tcof.com.au.